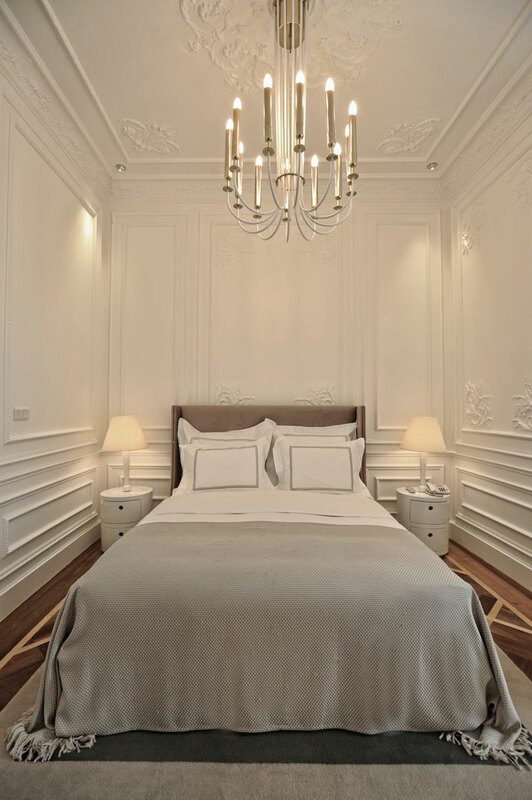 The House Hotel (or THH), is a hotel group with three luxury boutique hotels under its umbrella, all of which are located in Istanbul, Turkey –the city that has climbed to the top of the list of places to see and be seen for artists and fashionistas across the globe. 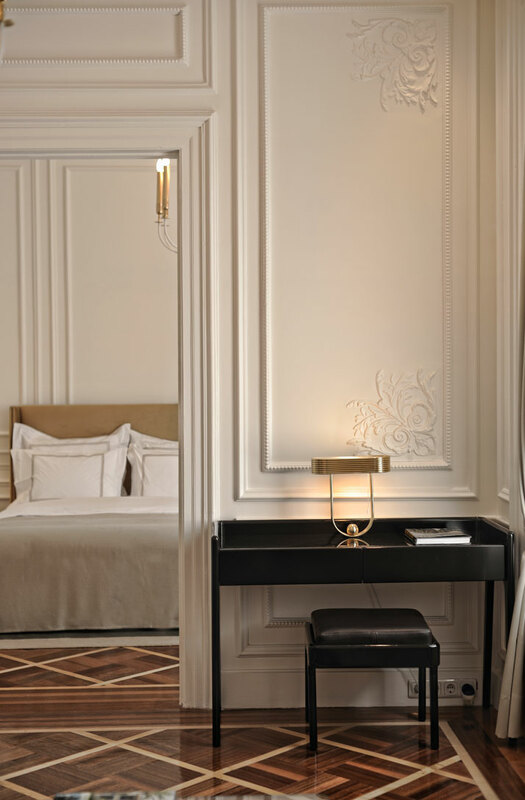 Interior Design group Autoban has been commissioned to design The House Hotels, with the restoration and renovation of a four-story mansion as their first project. 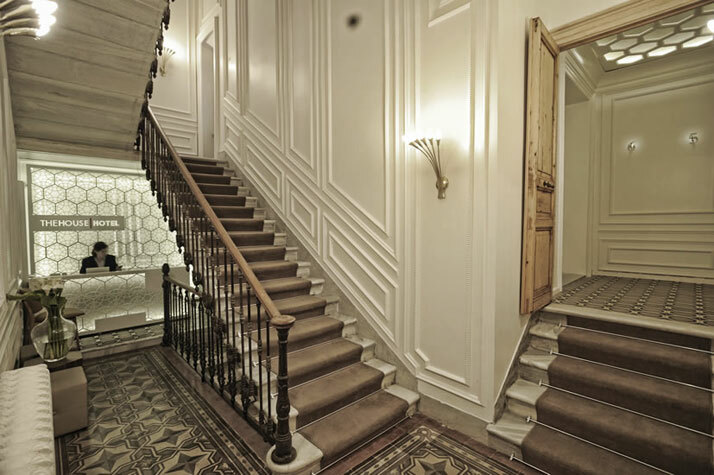 The House Hotel, Galatasaray in the old district of Cukurcuma/Galatasaray in Istanbul is a study in mixing the old in with the new. 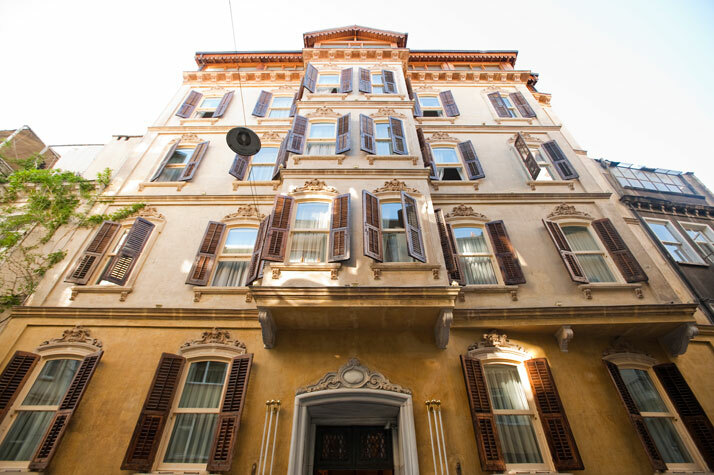 Originally built in the 1890’s and then known as “Appartement Zenovitch", the mansion was opened as a hotel in April of 2010. 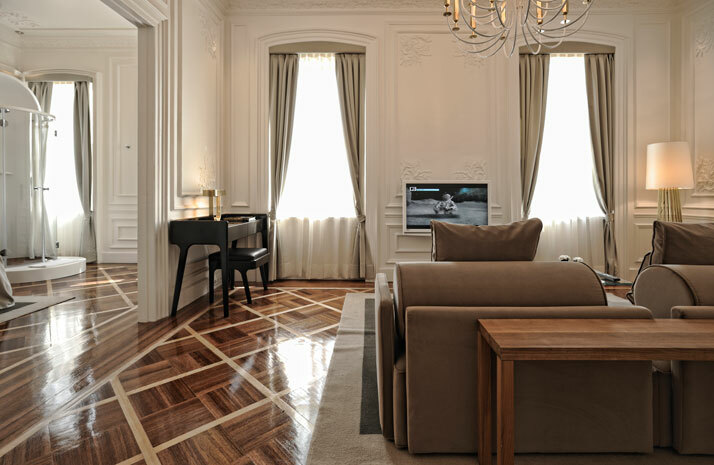 With only 20 spacious suites, the House Hotel, Galatasaray is more private than a hotel. 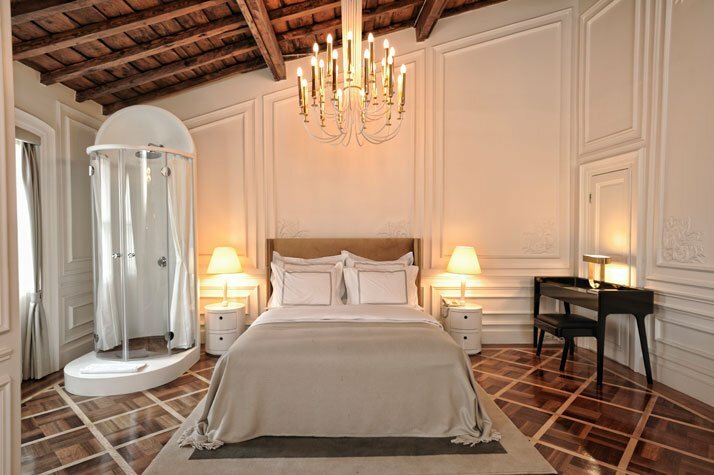 One gets a feeling that they are the guests of the homeowner, with personal butler service available in each room. 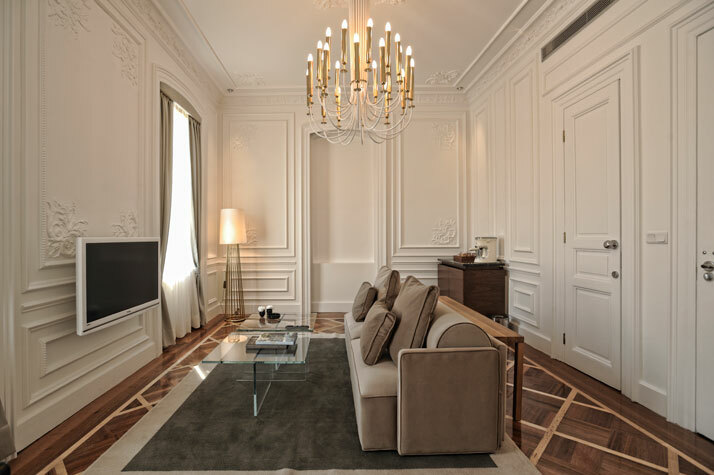 As an homage to time past, the original moldings have been restored in each room, and the juxtaposition of this intricate work with flat screen televisions and modern curves of the furniture and bathroom fixtures is a treat for the eye. 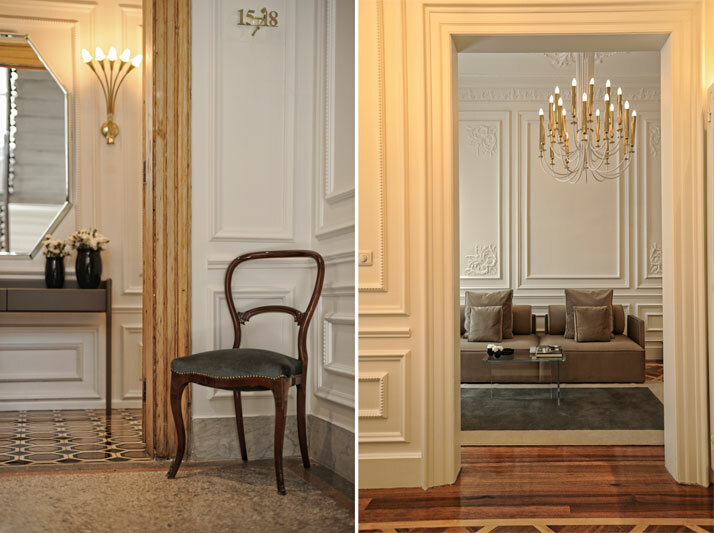 These details come together to create super luxury and comfort. Graceful chandeliers hang from exposed beams and naked ceilings – a touch that keeps each room from looking “over designed”. 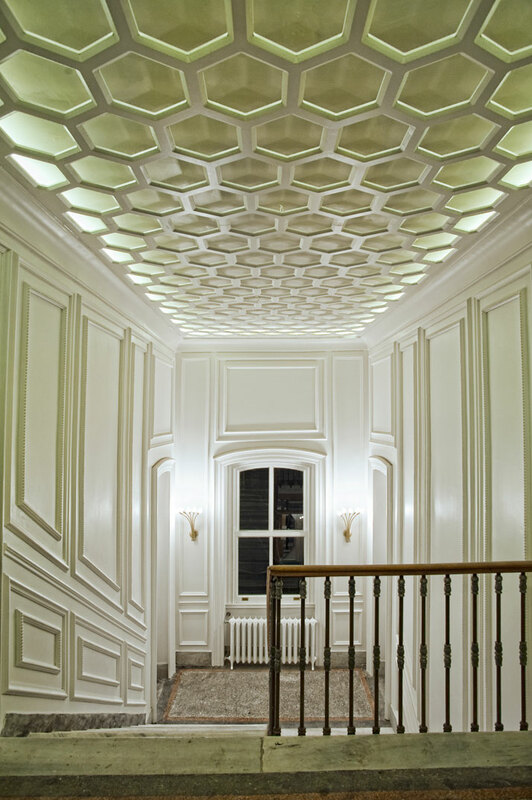 Actually, there is exposed wood throughout the entire mansion including the entranceway and the lounge, and this is testament to Autoban’s talent for bringing life into a space. They can fill a room with warmth. Somehow, it just works. 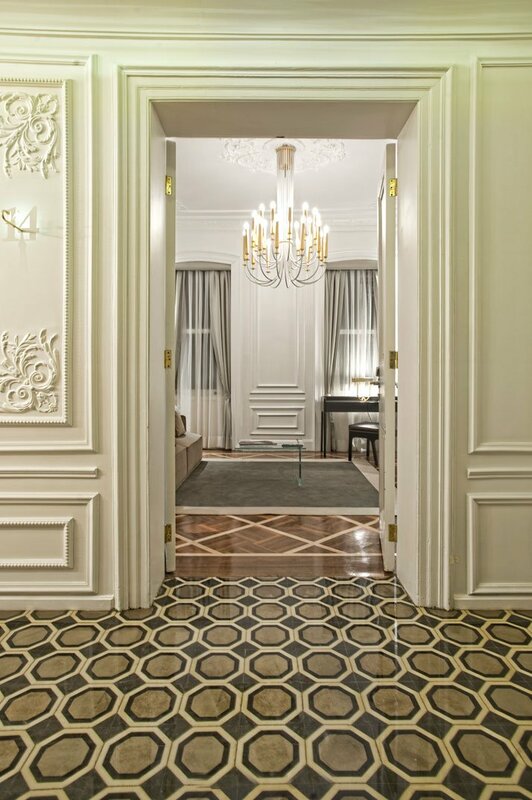 Mesmerizing tiles adorn the entrance, hallways, and the floor of the lounge. The staircases are grandiose and just beautiful. Up on the top floor there is a lounge/bar area that is quite special. A regal looking bar, white marble tables and gray wicker chairs are on display in the bar/food area. Windows around the perimeter allow light to pour into the lounge from every angle. 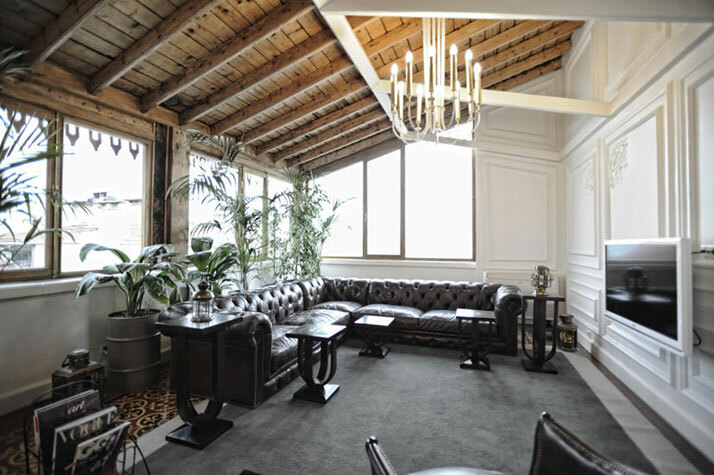 The bare ceilings are at work here once again, and there is a fireplace with two soft couches to seal the deal that this could be the coziest lounge in all of Istanbul.